The basis for the new documentary film, Mountain: A Breathtaking Voyage into the Extreme. 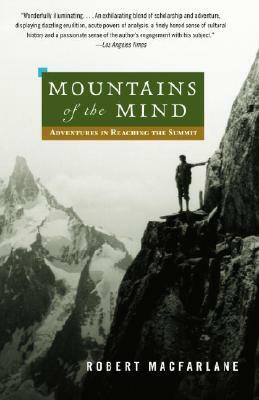 Combining accounts of legendary mountain ascents with vivid descriptions of his own forays into wild, high landscapes, Robert McFarlane reveals how the mystery of the world’s highest places has came to grip the Western imagination—and perennially draws legions of adventurers up the most perilous slopes. His story begins three centuries ago, when mountains were feared as the forbidding abodes of dragons and other mysterious beasts. In the mid-1700s the attentions of both science and poetry sparked a passion for mountains; Jean-Jacques Rousseau and Lord Byron extolled the sublime experiences to be had on high; and by 1924 the death on Mt Everest of an Englishman named George Mallory came to symbolize the heroic ideals of his day. Macfarlane also reflects on fear, risk, and the shattering beauty of ice and snow, the competition and contemplation of the climb, and the strange alternate reality of high altitude, magically enveloping us in the allure of mountains at every level. Robert Macfarlane is the author of a prizewinning quartet of books about landscape and the human heart: Mountains of the Mind, The Wild Places, The Old Ways, and Landmarks. He has contributed to Harper’s, Granta, The New Yorker, the Observer (London), the Times Literary Supplement (London), and the London Review of Books. He is a fellow of Emmanuel College, Cambridge.